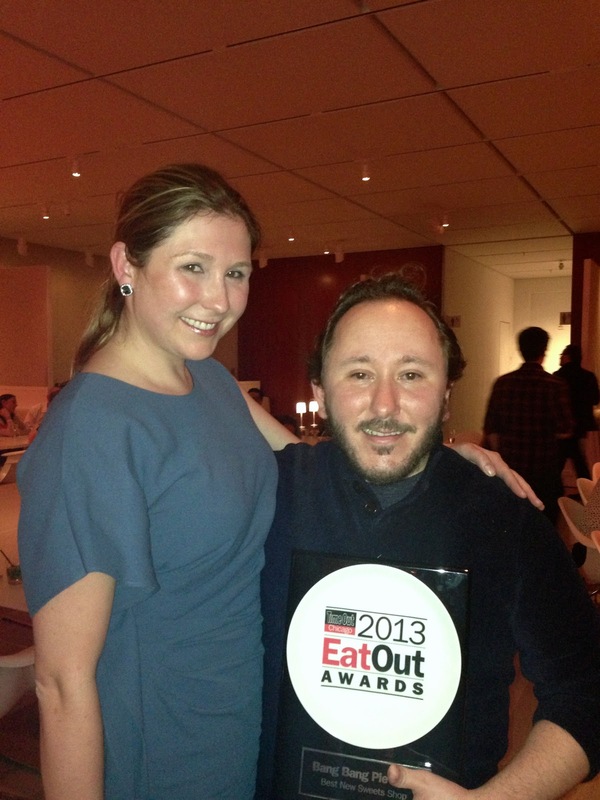 As a member of the Chicago Blogger Network, I was lucky to attend the Time Out Chicago Eat Out Awards at the Terzo Piano, located in the Modern Wing of The Art Institute. 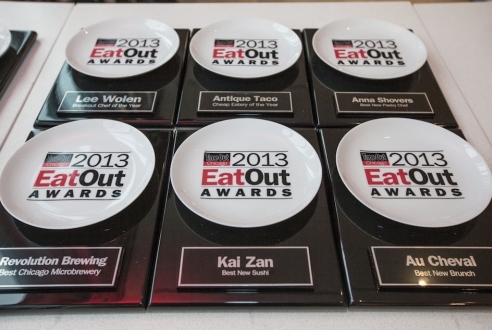 The event featured 15 awards going to the best bars and restaurants in Chicago, voted on by readers choices and critics picks. Terzo Piano was filled with the industry's top players, and it made for quite an exciting night. Congratulations to all the nominees and the winners and it was so fun eating, drinking and mingling with you! 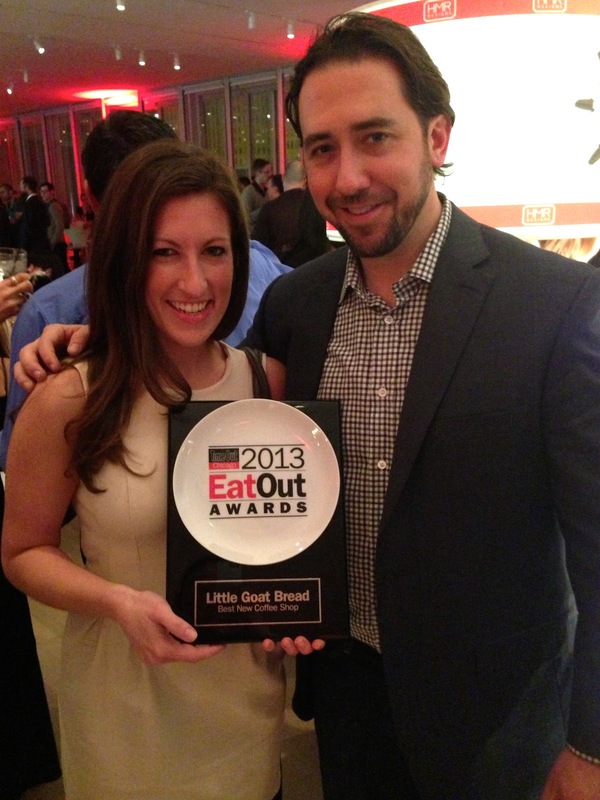 Zoe Schor at Ada St.
Love the pic of you eating from the award, hilarious! Such a fun event on Monday! It was great seeing you there!